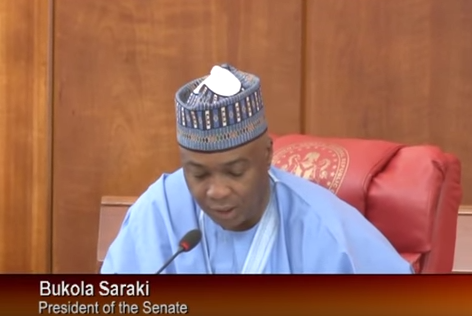 The trial of the Senate President, Bukola Saraki, at the Code of Conduct Tribunal(CCT), for alleged false declaration of assets, has been adjourned indefinitely. This follows the ruling by the Tribunal Chairman, Danladi Umar, on Wednesday, June 1. Explaining reasons for the ruling, Tribunal Chairman said the adjournment was to give the court time to attend to other cases. Key Prosecution witness, Michael Wetkas, was unable to make it to the court. His absent was reported to have been due to presence at other trial at the Federal High Court, Abuja. This also followed the ruling on the Senate President’s case at the Court of Appeal, Abuja, which was stalled due to inability of the court to form a quorum. The prosecution team led by Rotimi Jacobs (SAN) and defence teams agreed to the adjournment at the CCT, stating this will allow more time for a better case preparation. Also read earlier trial of the Senate President at the CCT.